The simple, carryall duffel is in the midst of a renaissance right now. 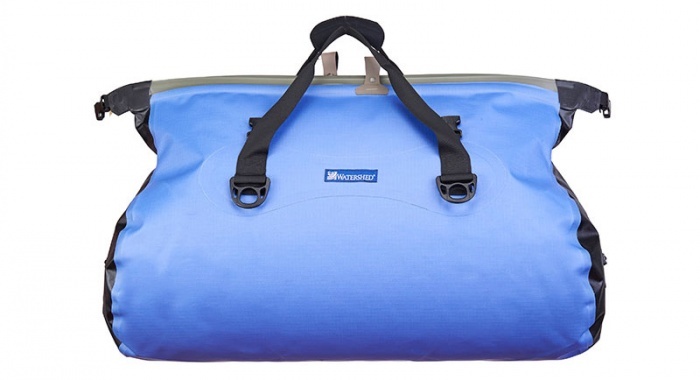 And while big brands are hopping into the market with burly, waterproof options, Watershed claims to have made the first fully waterproof duffel more than 20 years ago. A small brand that makes its wares in the U.S.A., Watershed specializes in making the gear that keeps your belongings dry. The folks at Watershed have a love-hate relationship with water. 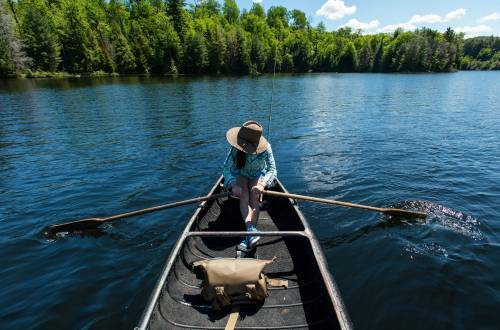 The Asheville, N.C., brand comprises kayakers, canoers, cyclists, and hikers — all of whom love to get wet. But their gear, not so much. 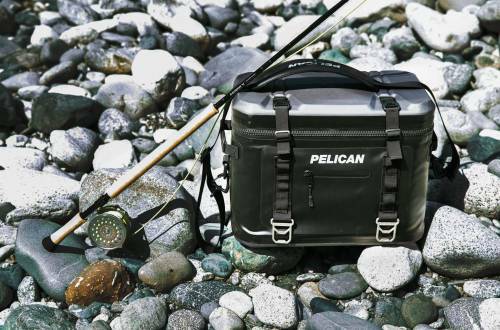 Provide the highest quality waterproof bags on the market. Buy different colored bags to organize your items and always know which bag has what. Watershed claims the title as makers of the first 100% waterproof duffel on the market, back in 1995. The bags use the brand’s patented Zipdry Closure system in place of water-tight zippers. 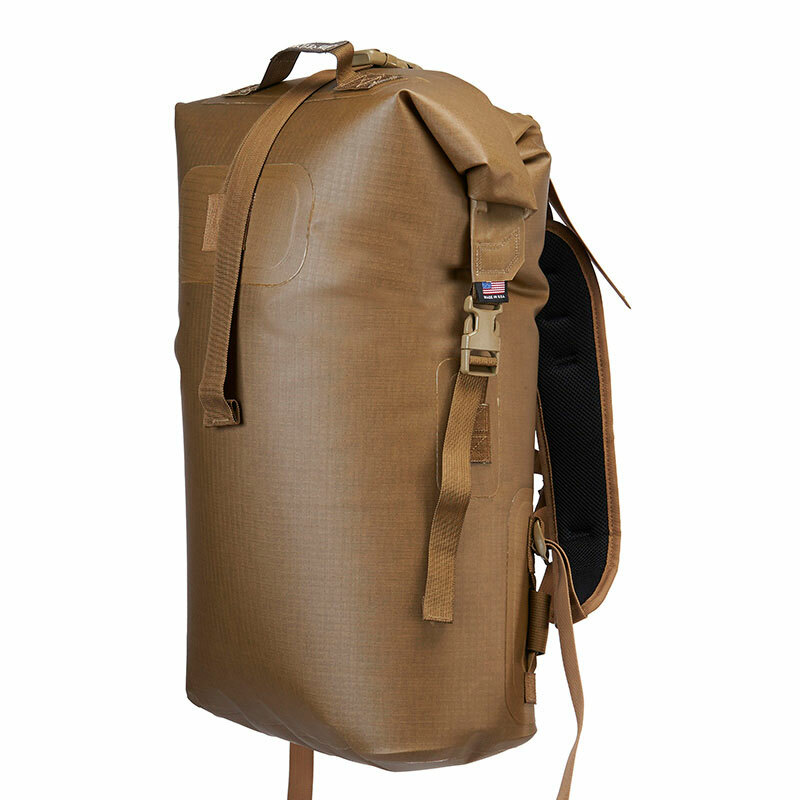 Watershed also equips Special Operations Forces all over the world with its airtight and submersible bags. Plus, Watershed bags are and have always been made in the USA in North Carolina. 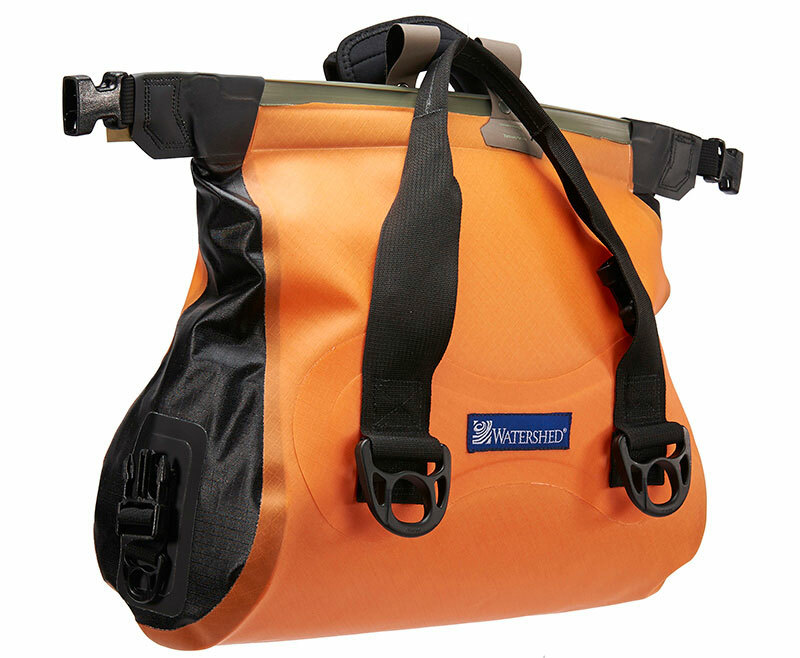 The smallest of Watershed’s popular duffel-style submersible bags, the Ocoee (15L) fits in tight places such as below the deck of a kayak or under a boat seat. Made for key essentials on a day trip, like a few pieces of extra clothing, lunch, and a first aid kit. It’s also compatible with Watershed accessories—padded liner, divider set and shoulder strap—to make a waterproof camera bag. Designed for long-term river tripping, the Colorado (105L) will carry enough gear for one person on a multi-day expedition. This bag also functions as car-top or pickup bed waterproof bag to provide extra gear storage on road trips. In reverse, it holds wet, muddy gear such as waders or drysuits for short-term hauling. 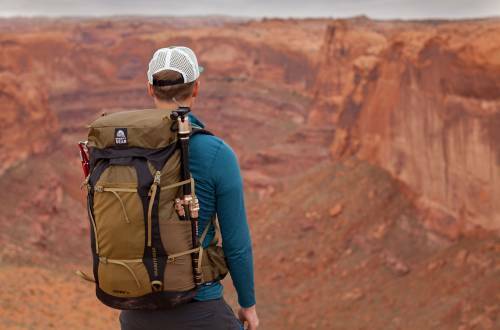 The Animas is Watershed’s most popular backpack-style waterproof sack. Its 54-L storage is enough room for a couple of days’ worth of gear. And it fits tackle boxes and extra clothing for a fishing trip, or enough gear for two days on the river. Switching from the river to bike trails, Watershed introduces its first bike-specific bag: the McKenzie. 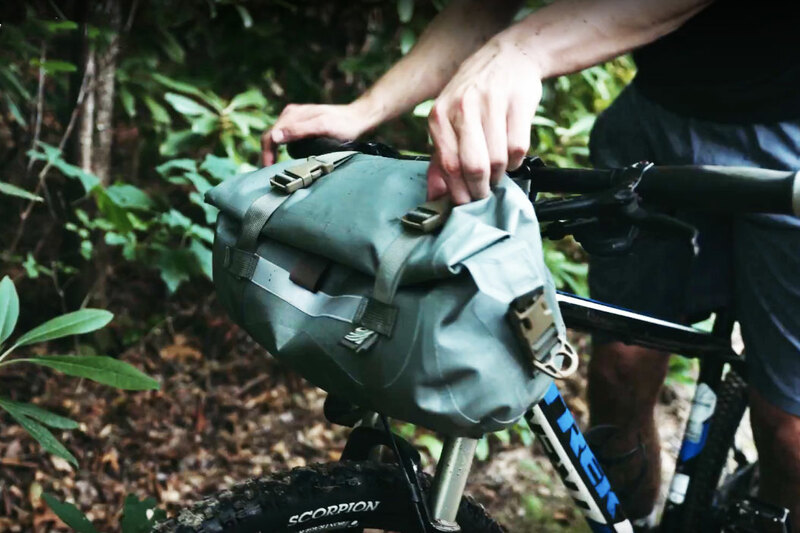 Lash it to your handlebars for a bikepacking trip; the McKenzie uses the same SEAL approved ZipDry closure as the brand’s duffels, making it fully submersible and waterproof. The McKenzie has a quick-release handlebar mount and hand-carry strap to take your gear from the bike to the tent. It also sports high-vis reflective tape for night rides.